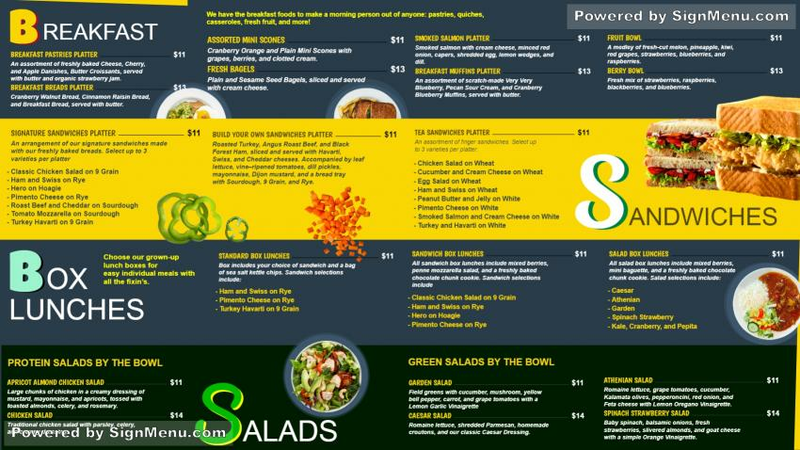 This template is best showcased on a digital menu board and placed at the entrance as well as indoors. The colors too provide a vibrant setting. On a digital screen/ menu board the impact will be tremendous and will light up the area literally. As the restaurateur the name / logo of your business entity, along with some much popular items should be showcased on the menu screen for branding and recall by customers. this template is ready for download and use.